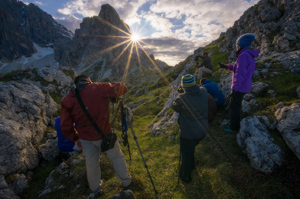 I offer one-on-one and small group workshops, and co-lead workshops in the Dolomites of Italy with Erin Babnik. I have 20 years of teaching experience in both music and photography. Scheduling and location are flexible and can vary widely. One-on-one workshops are $500/day. (This typically includes sunrise and sunset shoots and instruction in technique and editing.) Each additional person adds $250 to the total. A 50% deposit is due at the time of booking to reserve your spot, and is non-refundable if a cancellation is made sooner than 30 days prior to the workshop. Unlike larger photo tours or workshops, I keep my group size small, never more than 6 people. This ensures that I am able to spend the maximum amount of time with each client, focusing on their individual needs, interests, and skill levels. My workshops are fully customizable according to your preferences (for instance location, emphasis on editing vs. field work, etc.). A workshop with me is a laid back, fun experience. Fill out my contact form if you are interested in signing up for a workshop. In the message box, please include the number of participants interested, locations of interest, and dates of availability. While I teach workshops all over the Northwest, I specialize in teaching in the Palouse region because it is in my backyard. 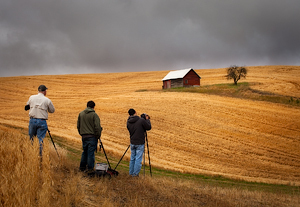 I've logged hundreds of hours and thousands of miles taking photographs and exploring the beautiful Palouse. I feel so fortunate to live so close to such a beautiful area and am happy to be able to share my knowledge with my clients. 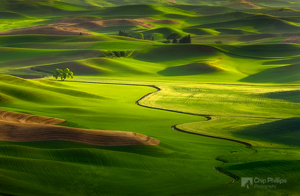 Spring is my favorite time of the year to photograph the Palouse, specifically late May and early June. These workshops will begin with a sunset shoot on the first night. The next day will include a sunrise and sunset shoot, and the final day will include a sunrise shoot with the workshop ending mid morning. We will fit in an editing session, most likey after our sunrise shoot on the second day. These workshops are limited to 6 people. Fill out my contact form if you are interested in signing up and I will provide you with more information.